Living on Island Time #3 - Cozy coastal cottages with a whole lot of charm! Fins & Feathers - GREAT location! Walking distance to almost everything!!! Catch the COASTAL BREEZES while sitting on the front porch of this quaintly appointed cottage. The Fins & Feathers cottage is the very essence of ROCKPORT-FULTON. The SPACIOUS interior design is inspired by…the countless species of birds around the FULTON HARBOR just down the road; our new found passion for fishing ARANSAS BAY with our friends; short walks with Cayman (our Golden Retriever) down FULTON BEACH ROAD to play in the field at the PAWS AND TAWS CONVENTION CENTER...just to name a few. All the extra personal touches make this cottage a CONVENIENT and COMFORTABLE place to stay. We provide EXTRA kitchen and bath supplies, linens, towels, and a sleeping mat. We have tried to think of everything you may need so you can just focus on FUN and RELAXATION or those OUTDOOR ACTIVITIES you have in your plans. Five (5) cozy coastal cottages with a whole lot of charm! Located just a block off of Fulton Beach Road and within walking distance to some of the best restaurants, shopping, and fishing in the Rockport-Fulton area. Be sure to check out all 5 of our cottages below here on VRBO. 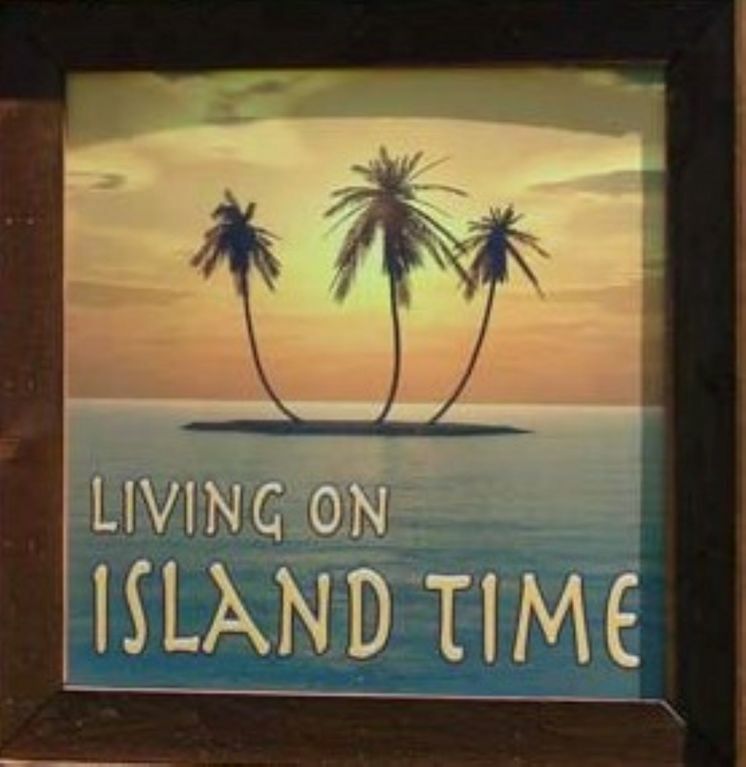 We also have an official website (www.livingonislandtime.net) with inside/outside pictures, and up-to-date availability calendars as well. A Secure Online Reservation Request is also available on our official website. Living on Island Time is not just the name of our place, it is a way of life here at the corner of Broadway St. and 3rd Street. We are a cozy collection of uniquely decorated vacation cottages located a block from some of the finest restaurants, attractions, shops, and fishing in the Rockport-Fulton area. We are sure you will enjoy your stay at our place with the small town hospitality, gentle coastal breezes, and lush tropical landscaping mixed with a couple old ancient oak trees. All cottages are fully furnished and equipped with full kitchens. You can enjoy the well lit public fishing pier just a short walk from your front door or a short three minute drive to the Blue Wave award-winning Rockport Beach. Such a cute cottage and a perfect location to walk to Oysterfest. The shower is a bit tiny but everything else about the house was great. Thanks! Thank you for your review! We are glad you enjoyed your stay with us an hope you come again. Great place. Price is right! Cottage was not clean when we arrived. Mouldy, tons of cat hair, furniture had not been moved to clean under or behind it. Nice size for 2 people in a great location. Every year this lady tries to claim the cottage was dirty to try and get free cleaning products to use during her stay. She says she already "cleaned" the cottage before she lets us have a chance to see and address the issues. Then she asks for a refund of the cleaning fee and wants us to pay her for $75 of cleaning products. Yet, they have stayed with us for 5 years now. They will not be allowed to stay with us again. We have plenty of people on the waiting list to stay with us for the winter that will not make up lies about the cleanliness of the cottage. The cottage was spacious. We were not use to bugs, lizards and toads in our home. Sorry about the weather! It was definitely a rainy November for Rockport! Unfortunately, that makes it tough to enjoy your stay. We wish we could control the weather! As for the bugs, they will always try to get inside when it rains so much. The best we can do is make sure they are dead IF they do find their way inside. To help control this, we already get regular pest control from a local professional pest company. We have for 15 years. I just wish you would have mentioned this sooner so we could have had the pest control company come check it out at that time. Unfortunately, telling us almost two months later does not do us much good. Since your stay, we have already had two pest control treatments and not one complaint. Therefore, I assume there is not any issue but we will definitely have it checked out to be sure. As for the lizards and toads, I am not sure if you mean they got inside. I would doubt that is what was meant. If so, that would definitely be a first in almost 15 years in business. If they really got inside, that could only happen by leaving the door open too long or bringing them in on something your brought in from outside. The only thing I can say about this is, please make sure you close the door quickly and all the way next time or check what you are bringing inside with you. Fortunately, they are all harmless and just want some shelter like we do when it rains a lot. Again, if you had told us this at the time, we could of helped solve the issues. We really loved the place the location was great. The restaurants were all within walking distance. Rockport Beach is the only beach in Texas certified by the Clean Beaches Council in Washington D.C. This certification is like receiving the 'Good Housekeeping' seal of approval. To be certified, the beach must pass an extensive checklist and is subject to surprise inspections. This is a great destination for families with small children, for those looking for a closely monitored beach that is also close to lodging, restaurants, shops, and other attractions. Come stay with us and relax on our huge outdoor patio! We would love to provide your accommodations for your next visit to Rockport-Fulton, TX! MONTHLY RATES - VRBO does not quote monthly rates correctly. No tax is required for monthly rentals. Please call or email us for a correct quote. PLEASE SEE THE RENTAL AGREEMENT FOR MORE DETAILS.